Home / Risk Analysis: how important is it for your investment? 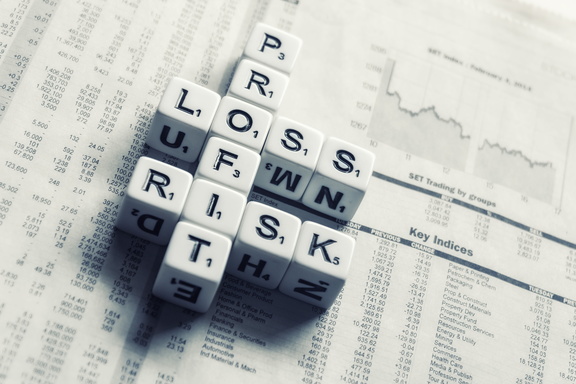 Risk Analysis: how important is it for your investment? As we all know, risks analysis is something that many companies do not really like to do. Moreover, some of them forget about risks until risk event occurred. However, risk evaluation is a very important process preceding investment stage. If you lose money with your investment due to poor risk management, you might have considerably less money afterwards than what you had, when it started. As we all know, risks analysis is something that many companies do not really like to do. Moreover, some of them forget about risks until risk event occurred. However, risk evaluation is a very important process preceding investment stage. If before risk analysis investor asks question: “How much money will I get from my investment?”, after this step the investor will get the answer to the question: “How much money can I potentially lose if I invest it in a certain asset?”. To answer this question, investor shall carefully analyze all possible risks before making an investment decision. After risk occurred, it might be too expensive to eliminate all its consequences. We shall note that no investment is insured against risks. Even keeping your money in cash under the bed carries a risk, and we don't mean that it could be stolen or your dog would tear it apart in play. So why is risk analysis and risk management so important, maybe even more important than profit maximization? Because if you lose money with your investment due to poor risk management, you might have considerably less money afterwards than what you had, when it started. It means that you lose not only profit, but also part or all of your initial investment! This formula gives us an indication of how much money we could lose, if things do not go as planned. It seems simple at the first sight. But correctly calculating the probability of a certain negative event is a very demanding task and requires not only complex mathematical equations, but also sound reasoning, a lot of business and market knowledge and years-long experience in risk analysis. There are a lot of risks that can prevent investor from getting profit. We will consider the major ones in our article. This is the risk when the market moves against our investment. Suppose an investor bought shares of a company at a price of 100 CHF each and expects the shares to rise. However, things don't develop like planned, the shares fall (e.g. because of general market conditions or because the company had to report bad news), and so investor must sell with a loss at 85 CHF. Market risk, also called "price risk", is the main risk to be considered when investing in shares, commodities or in derivates. Market risk is obvious and easy to understand for basic financial instruments like shares. However, it can be quite complicated for derivate instruments like options or especially synthesized bonds, which combine credits to several different debtors into one single commercial paper. A special form of synthesized bonds, the so-called MBS (mortgage backed securities), had been one of the triggers of the financial markets crisis in 2008/2009. When evaluating market risk, not only performance and profitability of the corporation are taken into account, but also overall macroeconomic factors that can influence its operations, like unemployment or primary interest rate. Geopolitical factors like war or public unrest in other regions of the world and even natural disasters, as we recently have seen in the case of Japan's earthquake, may influence share price. Considerable market risk can exist even with shares from "blue chip" corporations in stable and well-developed economies. Remarkable examples from recent history are the shares of Deutsche Telekom, Germany’s largest telecom operator and one of the biggest stock market companies in Germany, and General Motors USA, once the largest automotive company in the world. Deutsche Telekom lost more than 90% of its value within two years (2000-2002), and General Motors’ shareholders lost virtually all their money when GM went into bankruptcy in 2009. The only types of investment, which have no market risk, are money-market instruments like fixed-term deposits, and fixed-income bonds (obligations) under the precondition that they are hold until maturity. However, these instruments are subject to other types of risk, which will be described later. Issuer risk, also called "credit risk", is the primary risk of all types of fixed-income or money-market instruments. Examples of these are bonds, treasury bills, debt notes and all types of fixed-term or demand deposits at a bank. It must also be considered when investing in derivate instruments like warrants and certificates. Issuer risk relates to the risk that the issuer, or emitter, of a bond or commercial paper cannot fulfill its duties from this investment when they are due. When we buy a specific bond, for instance, federal obligations of Switzerland, in fact we lend our money to the Swiss state, which promises in exchange for this to pay us a fixed amount of interest (the so-called "coupon") at regular intervals and to repay our investment in full at some predetermined date in the future (the so-called "maturity date" or short "maturity"). The risk that the Swiss Confederation would default and will not pay the interest on time or even could not repay its bonds, is of course extremely low. That is the reason why Swiss federal bonds pay only very low interest, compared to obligations of other states. Similar rules apply if we consider bonds from large corporations, which use these instruments as a means for financing long- and medium-term debt. Generally, corporate bonds pay a higher interest than government bonds from the same state, because the risk of default for corporations is considered higher than for states. This can happen even to "blue chip" corporations; a "famous" case is again the default of General Motors in the USA in 2009, which left its bondholders with an almost total loss. To give investors and investment managers a measure to evaluate the issuer risk of a specific country, bank or corporation, Benesteem suggests using a system of so-called credit ratings that has been established since the first half of the 20th century. Under this system, grades in the form of "AAA" (= extremely low risk) down to "D" (issuer is already bankrupt) are given to the respective issuers. These grades are calculated by specialized analysts at rating agencies; the most important of them are Fitch, Moody's and Standard & Poor’s. Although the system of credit ratings is far from perfect, these grades are an important guideline to the investment manager when evaluating fixed-income instruments. If the issuer of the bonds is a souvereign state or a state like institution, e.g. a national bank, we speak of issuer risk as "sovereign risk". In this case, the payment of the interest and the repayment of the principal is guaranteed by the state which issues the bonds. Generally, a sovereign state is considered as a very creditworthy debtor. As such, sovereign bonds normally pay less interest than corporate bonds from the same country. Traditionally, these types of instruments are used for conservative and ultra-conservative investment strategies. However, history has shown that states can default too, like corporations. Main reasons for a sovereign state default are poor economic conditions or fiscal mismanagement, like in the recent cases of Argentina or the Russian Federation. But even previously sound economies can default because of geopolitical developments, as it had been in the case of the German Reich after World War II. In practice, considerable differences exist in the creditworthiness of sovereign states, and as a result, considerable differences in the interest which the states pay on their bonds. A comprehensive risk analysis must not only include macroeconomic indicators, like inflation rate and the ratio between Gross Domestic Product (GDP) and deficit, but also political aspects, like historical stability and independence of the juridical system. Hedging against sovereign risk is to some extent possible through derivate instruments known as credit default swaps (CDS), but this substantially reduces the yield from the bond investments. A special situation arises in the case of derivative instruments. If we for instance buy a so-called tracker certificate, let’s say on gold, from Bank Vontobel, which normally follows the quotation of gold on the Zurich spot market, we do not buy and own a physical amount of gold. Instead, we own an exchange-tradable security issued by a Swiss commercial bank (very good and highly rated), which guarantees us to follow the price of gold 1-to-1. That means, the emitter of the certificate is our counterparty in this investment trade and guarantees us that he will fulfill his part of the contract. In the rare case that our counterparty defaults, our investment would be mostly lost, even if the underlying (in this example gold) is moving perfectly in our direction. The counterparty risk has to be carefully checked before engaging in investment activities with derivates. Mostly, derivates are emitted by large commercial or investment banks. However, often derivates are marketed under the brand name of the mother bank, but in fact issued by a less creditworthy daugther company resident in an offshore jurisdiction or in a state with less rigid banking regulations than Switzerland. This fact is often hidden in the fine print of the certificate's prospectus and can only be assessed by an investment specialist. Considerable counterparty risk exists in certain types of futures trades, if they are executed outside of the established futures exchanges like Eurex in Frankfurt, Germany or the Chicago Mercantile Exchange (CME) in America. Examples of these off-exchange futures trades are the so-called "Forex" trades and most CFDs (Contracts For Difference). Counterparty risk tends to be regularly underestimated by individual investors. One of the most famous examples of counterparty risk was the bankruptcy of the New York investment bank Lehman Brothers in 2008, which destroyed the savings of hundreds of thousands of private investors worldwide. On the other side, derivate financial instruments are very important tools for risk management, that means for protecting ("hedging") the client's portfolio against potential losses. The success of hedging mainly depends on the investment manager's competence and experience to correctly assess the counterparty risk and to select the appropriate counterparties for his hedging operations. Currency risk originates from the fact that the exchange rates between two currencies of different states (or economic blocs like the Euro zone or the Switzerland/Liechtenstein currency union) fluctuate against each other. Reasons for those fluctuations can be trade balance differences, differences in the primary interest rate or the perceived political stability and economic efficiency between the countries. As long as the currency, in which we invest and in which we measure our investment results are the same, currency risk is of no importance. But, if for instance our profits are calculated in Swiss Franc and we invest in bonds denominated in Dollar, we face a currency risk. Should the Dollar depreciate versus the Swiss Franc, our investment could be a net loss, even if the bonds itself pay a nice interest and are duly repaid at maturity. The same holds true, if all our investments are in Swiss Franc, but we personally must calculate in Euro, because we live, let’s say, in Italy. This will be an important factor, if the assets are intended for personal retirement or for educational expenses of our family's offspring. Currency fluctuations can be considerable in the short- and medium-term, as currency futures and similar derivates are a large and important kind of financial investment instruments of its own. This can happen even between major currencies of the world, like the example of the USD/EUR (US Dollar/Euro) pair shows: While the Euro lost versus the US$ almost 20 percent during the period from November 2009 until June 2010, it then gained again about 23 percent until Mai 2011. Fortunately, currency risk can be efficiently hedged through a wide variety of financial instruments by the investment manager. Currency risk hedging lowers the profit margin by typically 0.5 ... 0.75 percent p.a., depending on the currencies involved. However, this hedging technique almost completely eliminates the currency risk; its main "cost" is the time effort spent by the investment manager to execute and monitor the hedging transactions. Currency risk hedging enables the client to benefit from higher profit investment opportunities in foreign currency zones, without compromising the security of having his assets hold and domiciled in Swiss jurisdiction. As we can see, if the risks described above occur, then it can result in significant losses for the investor. This is why risk evaluation can influence investor’s decision. Most risks can be assessed, calculated and hedged. Some risks are difficult to estimate, and they require significant knowledge, experience and expertise of investment manager. In our next article we will consider other possible risks as well as methods for their evaluation.